Yesterday marked a major alliance announcement in the field of artificial intelligence. The newly announced partnership on AI has been formed between Google, IBM, Facebook, Microsoft and Amazon. Missing from this new alliance were Apple and Elon Musk’s openAI team. Elon Musk probably has been too busy with grand plans for his Mars colony, which leaves Apple. 1 Does Apple not have a Strategic intent around AI? 4 How many Phd’s does it take to make Siri Smarter? Does Apple not have a Strategic intent around AI? We think that Apple has been working hard at AI for quite some time now. It has been exploring applications in the area of applied machine learning as well as thinking around use cases that will bolster up its existing offerings including and not limited to Siri. You can get a sense of this ambition on the company’s part when you examine some of the recruitment drive that the company has been recently targeting as well as the capabilities that it has been acquiring via its acquisition of AI startups. In a recent job posting for Deep learning specialist, Apple highlights some of the skills that it is looking for. According to the posting, the deep learning specialist will function as a subject matter expert and help diverse teams with design and implementation of advanced neural network algorithims. The primary application for the role focuses on video applications including video and image analysis along with understanding different sensor modalities that can be incorporated into Apple’s consumer products. The preferred qualifications for the role include an advanced knowledge of GPU computing with CUDA Kernels. CUDA is a popular parallel computing platform that was developed by NVIDIA. Deep learning and GPU Computing have advanced the abilities of image recognition technology to super human levels. We think that the new image recognition features introduced in iOS 10 are just a start. As we move forward, we can definitely expect more features in iMessage, Facetime and Photos that are powered by deep learning. As processors and embedded GPUs become more powerful, the potential around advanced image and video applications look more promising. 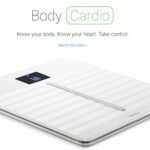 Apple’s push into health and fitness applications via its product and service offerings is no longer a surprise. 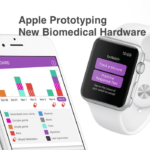 Apple ‘s partnership with large pharma as well as boutique product companies in this space such as Writhlings is already pushing the company deeper into healthcare and fitness. 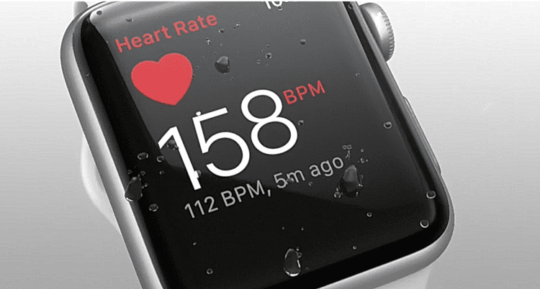 Apple’s Watch Series 2 promises to revolutionize the way we think of wearables and fitness applications. 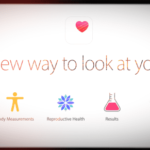 Now Apple is looking for Data Scientists for its Fitness and Health division who have a solid background in statistical modeling and experience with deep learning and visualization tools. Phd’s in this role will be analyzing data, devising and proving hypotheses, validating algorithms using multiple sensors, framing and driving user studies, working with a multi-disciplinary team all with the intention to help implement algorithms in customer-facing software. How many Phd’s does it take to make Siri Smarter? Going by the recruitment drives, it appears that it takes quite a few Phd’s at Apple to make Siri more smarter. Now that we have Siri on practically all Apple devices including the Macbook, it is only a matter of time that we get to experience some of the advanced offerings from this platform. 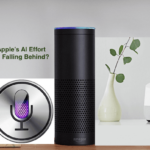 Apple is pushing hard against competitors such as Amazon when it comes to intelligent voice assistants for the next generation. 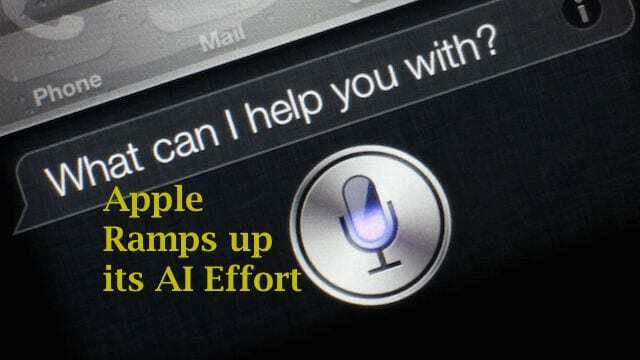 One way it is trying to do this is by pushing Artificial intelligence into Siri via NLP aka Natural Language processing. Apple has set up a dedicated Siri Natural Language team. 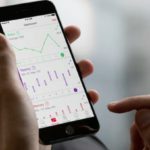 The goal of Siri’s Natural Language team is to take Apple’s voice assistant to the next level of intelligence and accuracy using advanced statistical techniques. Apple is looking to use both proactive intelligene and advanced machine learning to make a robust Siri that can facilitate and solve various complex problems when it comes to applications such as Music, Maps and Homekit. This is an elite group within Apple that has been at the forefront of some cutting edge research since its inception. 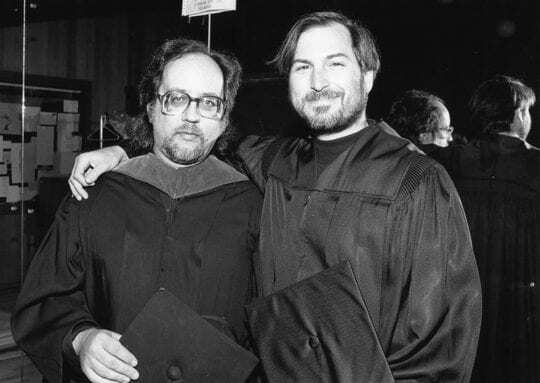 Famed academic reseachers such as Richard Crandall once led this elite group at Apple. The Portland based team is beefing up its AI talent by hiring numerous Phd’s for R&D in the field of machine learning. They are looking to expand on signal processing, computer vision and other applied engineering fields. Many of the research patents developed by this elite Apple group have taken shape as product features in today’s iPhones and other Apple Products. If the ACG division in Apple is pushing at AI and machine learning, it means that Apple is seriously looking to beat the competition. 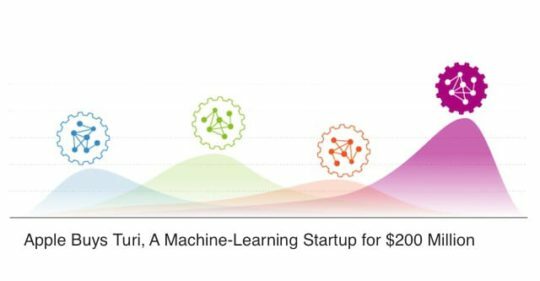 Apple ended up getting a lot of new tools to its AI arsenal via the $200 million dollar acquisition of Turi. The Turi machine learning platform has done some pioneering work around applications of AI related to consumer use cases. One of the areas that Turi did some very interesting work was the area of Sentiment Analysis. Forum data: Find out how people feel about various products and features. Restaurant and movie reviews: What are people raving about? What do people hate? Social media: What is the sentiment about a hashtag, e.g. for a company, politician, etc? Call center transcripts: Are callers praising or complaining about particular topics? Given Apple’s major transformation of its iMessage platform in iOS 10, One can expect big changes to come moving forward. 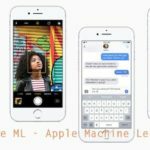 With all the chatter around intelligent AI based bots todays, you can envision messaging bots from Apple that can take advantage of the Turi deep learning platform to provide valuable service offerings. If you have not used a messaging based bot, feel free to take Luka out for a test-ride. It is available in iTunes as an iOS app. Apple’s lone ranger attitude is no surprise when it comes to new technology. It has always been very secretive about its product and service intentions. We are not surprised that Apple has not committed to join this new AI Partnership. As this technology advances and the new alliance establishes itself as a industry thought leader in the field of AI, Apple may jump in and contribute to the greater good when it comes to ethical decision making. AI is definitely going to be a very closely watched area in technology as we move into 2017 and beyond. As an Apple fan, its good to see that Apple has been working hard on this technology in order to bring incremental value to its users.